CIMA Sri Lanka is considered as one of the most recognized professional qualification in Sri Lanka and its also internationally recognized course in management and accountancy. 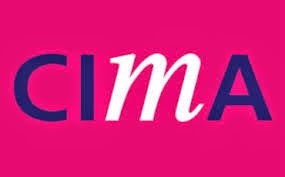 CIMA - Sri Lanka operates under CIMA - UK. Becoming a chartered management accountant can accelerate your career and boost your salary. it is a proven path to business success. CIMA Accountants are highly rewarded. Following are some details of this course and hope this information will useful for those who plan to enter in to management and accountancy careers in Sri lanka. Standard text books published by CIMA available at leading bookshops.